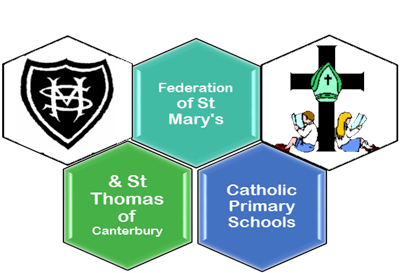 St Mary’s Catholic Primary, Ryde and St Thomas of Canterbury Catholic Primary, Carisbrooke are federated and share one governing board, which is currently chaired by Katrina Rigby. The 16 members include the Headteacher, foundation governors appointed by the Bishop, parent-governors elected by parents of both schools and a governor appointed by the Local Authority. The board aims to meet monthly during term time. It sets the main directives, aims and vision for the schools, approves their School Development Plans, then reviews and monitors outcomes – both educational and financial. Ensuring that the vision, ethos and strategy for the schools are clearly defined. Ensuring that the Headteachers fulfils their responsibilities for the educational performance of the schools. Ensuring the proper and effective use of the schools’ budgets. Governors have a strategic role in guiding and supporting the schools’ work and encouraging further improvement. They are often referred to as 'critical friends', monitoring and evaluating performance, supporting and questioning the senior management team and ensuring that the annual School Development Plans meet the needs of pupils, and are delivered comprehensively. As critical friends of the schools, governors should be able to recognise and celebrate success as well as ask questions. The Governing Board also has a responsibility to account to everyone who has an interest in the performance and standards achieved by the schools: pupils, parents, the Local Authority, HM Inspectors and, as a Catholic school, the Diocese. There is also a separate steering group for the Preschool at St Mary’s.